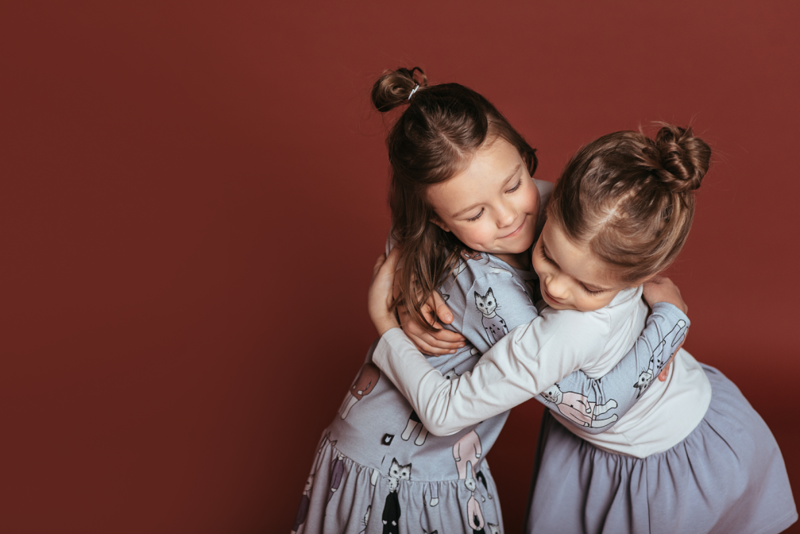 In the Autumn–Winter 2018/2019 collection, the kids clothing brand «Hebe» continues to cultivate its love for soft fabrics and comfortable garments, adorned with playful prints. The prints are often dedicated to the animal world, this time featuring illustrations of domestic cats and dogs. 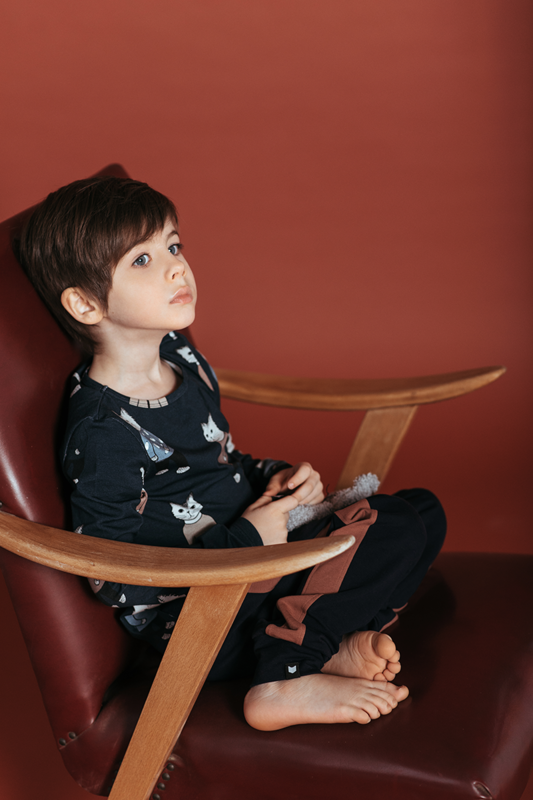 The Autumn–Winter 2018/2019 collection by «Hebe» consists of bodysuits, rompers, leggings and hats for babies up to two years of age, as well as a wide range of jersey garments for up to ten years old boys and girls. 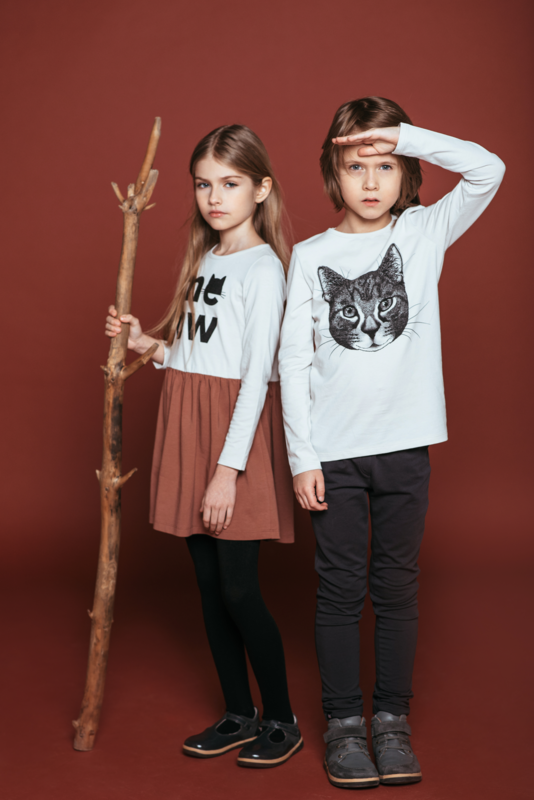 The collection is adorned with illustrations of man’s best friends, cats and dogs, that brings sweet memories of the story «Kitty’s Water Mill» by the well–known Latvian writer Kārlis Skalbe. 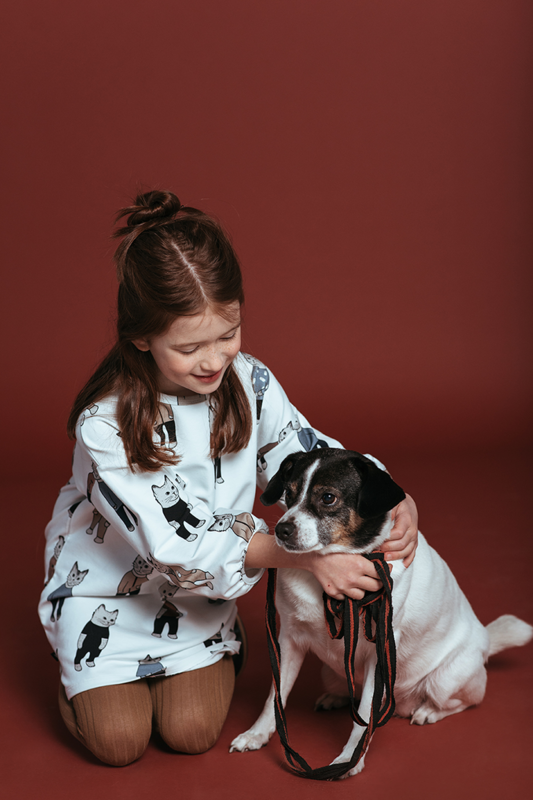 Just like in most of the previous collections the illustrations of pets are made by the founder of the company and design author Inga Blumberga. The dominant colours are dark brown and blue, lilac, baby pink and light grey. With pleasing aesthetics, excellent quality and a comfy fit, «Hebe» takes pride in clothing that does not harm nature and is fair to its makers. 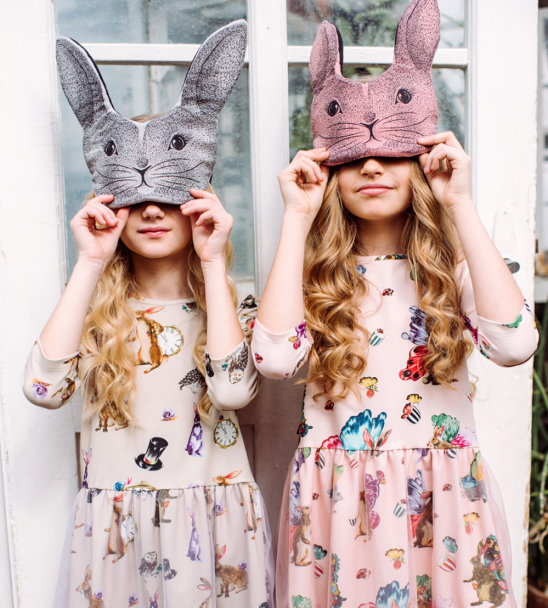 All garments are produced locally in Latvia, using 90% GOTS certified organic cotton. 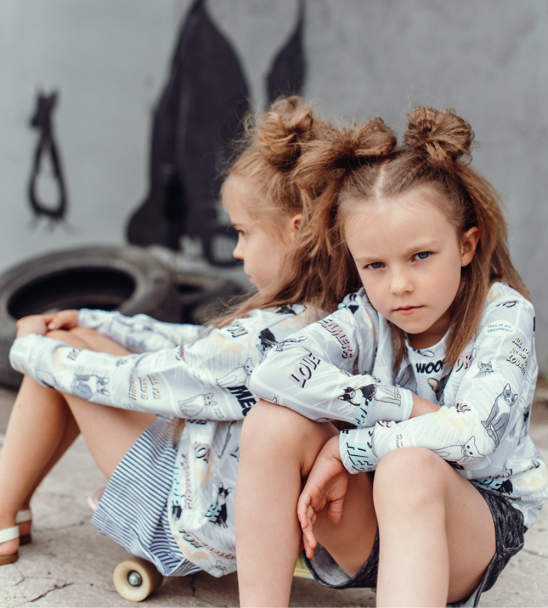 «Hebe» is one of the most successful exporting kidswear brands in Latvia that regularly participates in international exhibitions. The garments by «Hebe» are available in stores in Germany, Italy, Switzerland, the Netherlands, Finland, Sweden, Canada, Korea, Japan and elsewhere. This autumn marks a year since «Hebe» headquarter is located on Stabu iela 21a, Riga. This is a home of the whole production process, from designing to the end product, and also of the brand’s store.